The winner of the 2013 Ruth Borchard Self-Portait Competition was announced last week and alongside the winning self-portrait by Thomas Newbolt, a further 120 shortlisted self-portraits (from over 1000 competition entrants) are now on display at King's Place, London, until 22nd September. 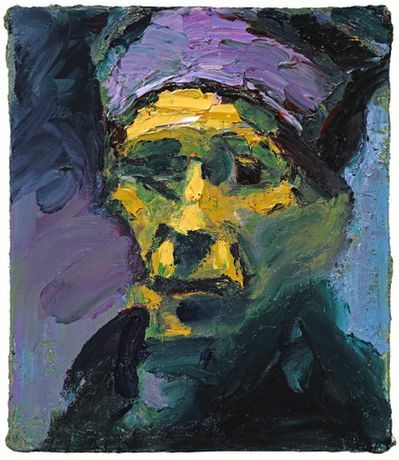 The Ruth Borchard Collection is one of the UK's most important art collections as, to date, it is the only collection dedicated entirely to the genre of self-portraiture. The Ruth Borchard Collection was started in the 1950s by writer Ruth Borchard, a Jewish emigrant who escaped Nazi Germany in the 1930s. Approaching the most promising artists of the day, Borchard successfully acquired over 100 works by the likes of Euan Uglow, Keith Vaughan, Francis Newton Souza and Roger Hilton whose work is now also represented in the collections of the world's greatest art institutions. The Ruth Borchard Collection has become a historical record of some of the country's most important Modern British artists offering an insight into their lives, surroundings and even state of mind. Nearly 60 years since the collection began and over 10 years since Ruth Borchard's death, the Borchard family continue to encourage the development of self-portraiture in 21st Century Britain by funding this major self-portrait competition aimed at artists of all ages and experience. A panel of industry experts including art critic Mark Hudson and artist Celia Paul picked the winner who was awarded £10,000 prize money as well as having his work acquired by the Ruth Borchard Collection. Alongside Thomas Newbolt, a further 15 works were acquired by the Ruth Borchard family thus extending their already established collection with additional contemporary works that bring it into the 21st century. Artists whose portraits were taken into the collection include competition runner up Adam Birtwistle, Japanese artist Jiro Osuga, and sixteen year old aspiring artist Atalanta Arden-Miller.